Nov 8, 2018 BIDDING ENDS 6 PM! 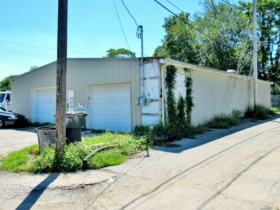 Includes: 0.85 +/- acres of real estate with frontage on Main Street in the recently revitalized Downtown Historic New Albany! Sells absolute with no reserve! 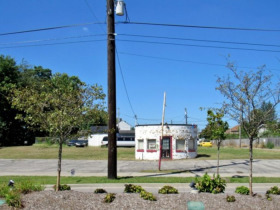 Located on the recently revitalized downtown Main Street! CLICK ON "VIEW DOCUMENTS" ABOVE FOR AERIAL, PROP. ASSESS. TAX INFO, ETC. 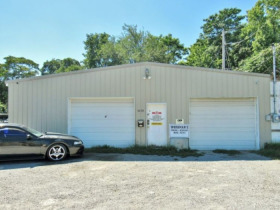 09/18/2018 UPDATE: CAR LIFT, AIR COMPRESSOR, AC UNITS, VEHICLES AND CONTENTS ARE NOT INCLUDED.  10/19/21018 UPDATE: Auction end date and additional inspection dates have been updated. Paint booth in main building is now included with the real estate. 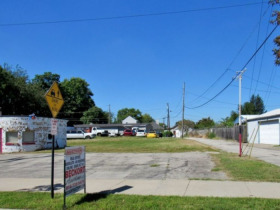 REAL ESTATE: A rare opportunity to buy land on Main Street in Downtown Historic New Albany. 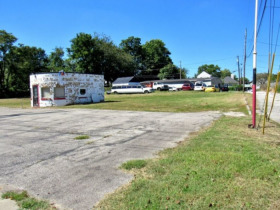 Features include: 0.85 +/- acres, 172’ +/- of road frontage on Main Street, public alley frontage on north/west sides, paved areas, great visibility, & two buildings. 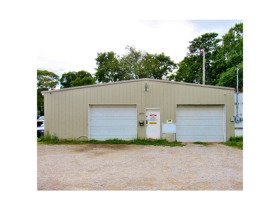 Building #1 features: 40x70 (2800 SF) metal/concrete sided storage building with concrete floor, 1/2 bath, heat, water and four overhead doors. 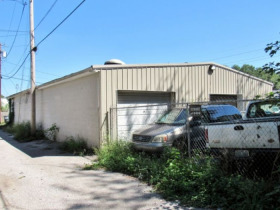 Building #2/#3 are both small concrete buildings in need of repair. 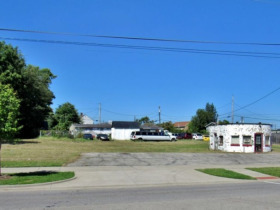 Endless potential for this property, currently Zoned C-2 General Business. 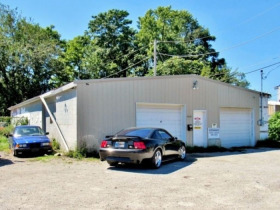 Income producing property, currently leased for $1400 per month thru Nov 15. Sells all in one tract with no reserve to the highest bidder! Buy it at your price! 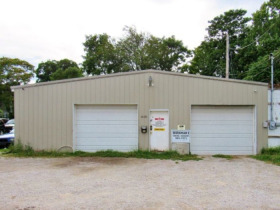 CURRENT LEASE INFO: Property is currently leased on a month to month agreement at $1400/month, and leased through Nov. 15 of 2018. CLOSING INFO: Currently leased through Nov. 15. Buyer to pay all closing costs except deed prep. DIRECTIONS: From I-64 New Albany Exit #123 (northbound), from exit ramp continue straight on Elm Street, take first right on Scribner Drive, left onto West Main Street 1.3 miles to site on left.